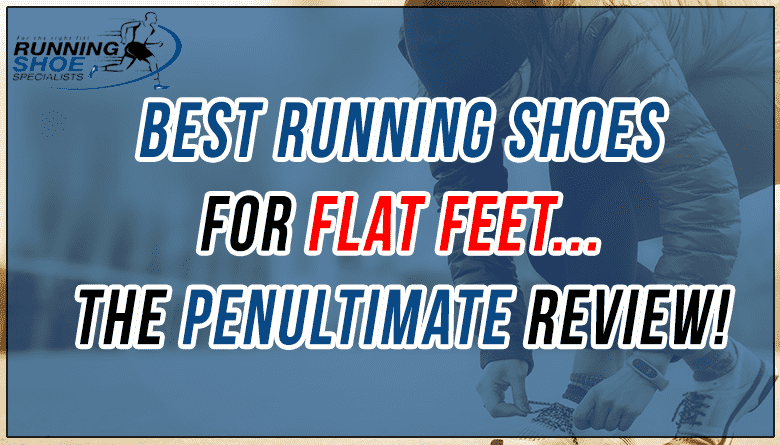 Best running shoes for flat feet – The penultimate review! I get it, flat feet is what prevents you from exercising. It seems to be that “one” thing keeps you from getting up and putting on your shoes to run, but today that is going to change… for good! Let’s delve into what “flat foot” or “flat feet” is and the effects it has on runners. What is a flat foot and what are its effects? When your feet have no arches and are flat pressed to the ground there are quite a number of problems you may encounter. If you are in doubt about how flat your feet are, start with a “wet feet test” which is performed to identify the flatness of your feet. Through this test, the height of the arch of your feet is tested. An arch is basically formed by tendons of your leg and foot which act as a natural suspension system for your feet. 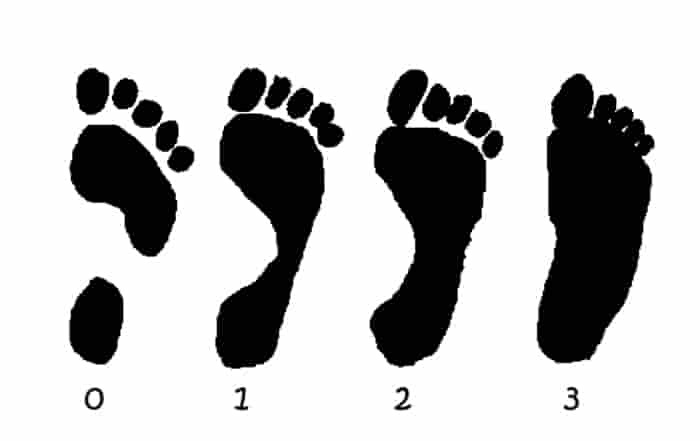 Flat feet are categorized in two categories medically. One is the flexible flat feet and the other is rigid flat feet. The main difference in the two kinds is that flexible flat foot flattens when it has weight on it otherwise it’s flatness it not visible. Whereas the rigid flat feet remain flat with or without weight. Both of them have them have different treatment methods and techniques. 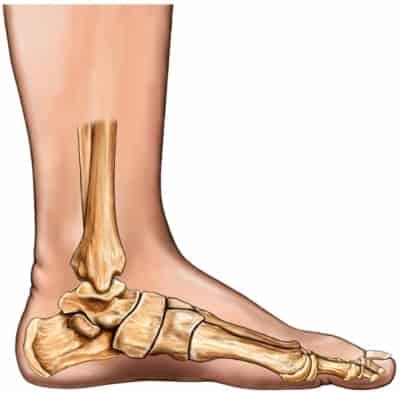 Most fallen arches are a result of weakening or injury of the posterior tibial tendon. And for people who encounter over pronation have its impact on various routine activities. From severe backaches and back problems to shin splints. A lot of problems are experienced. Since almost 25-30% of this worlds growing population is facing flat feet issues making this a common yet manageable dysfunctionality. Running is most affected by people with fallen arches. Our feet naturally have an inward roll. Pronation occurs every time our feet land on the ground which acts as a shock absorber, absorbing the impact the feet receives from the ground & overpronation is that shock absorber system to not function properly causing pain in various parts of the lower body. Surprisingly all flat feet individuals do not overpronate and some of them seem to be doing completely fine. But its people with flat feet who have a much higher chance of having fallen arches. 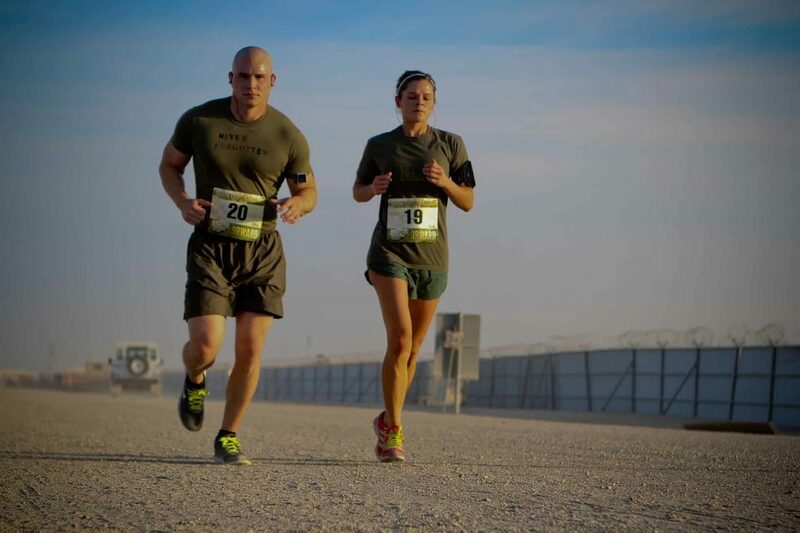 While running the impact created by our feet is 3 to 4 times of our body weight which if acting destructively can end up causing great medical harm and needs to be taken seriously. All these feet conditions are completely curable and you can run marathons with flat feet if taken care off in the right manner. Having flat feet or fallen arches does not mean you’re unhealthy. You’re just temporarily unfit due to abnormal bone positioning or some sort of injury because of overpronation. Your feet might turn inward causing pain. People have also diagnosed with miss alignment in the knees because of having no arches. If you’re naturally built-in shock absorbers are malfunctioning resulting in pain and discomfort during walking by not re pushing your feet nicely of the ground, here are a few remedies and methods to minimize the flat feet issue substantially! 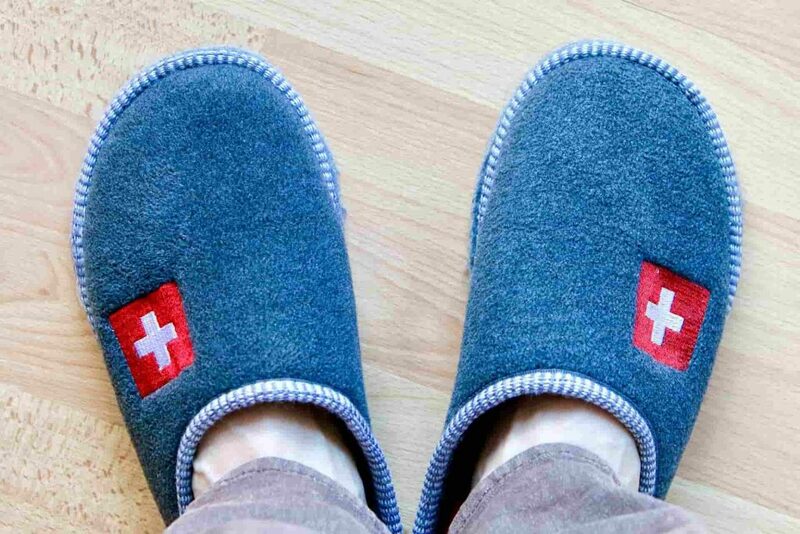 Buy yourself a pair of extra comfortable slippers or home shoes. 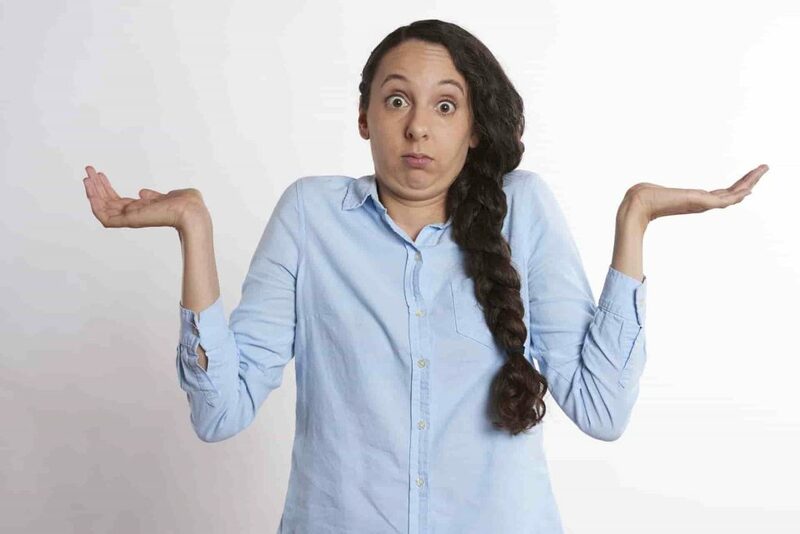 When you move around your house as doctors recommend people to not maneuver in the house barefooted or with socks on as it applies a lot of pressure on your feet. When you get back home after a long day just like your mind, your feet get exhausted as well. Give your feet a little massage. 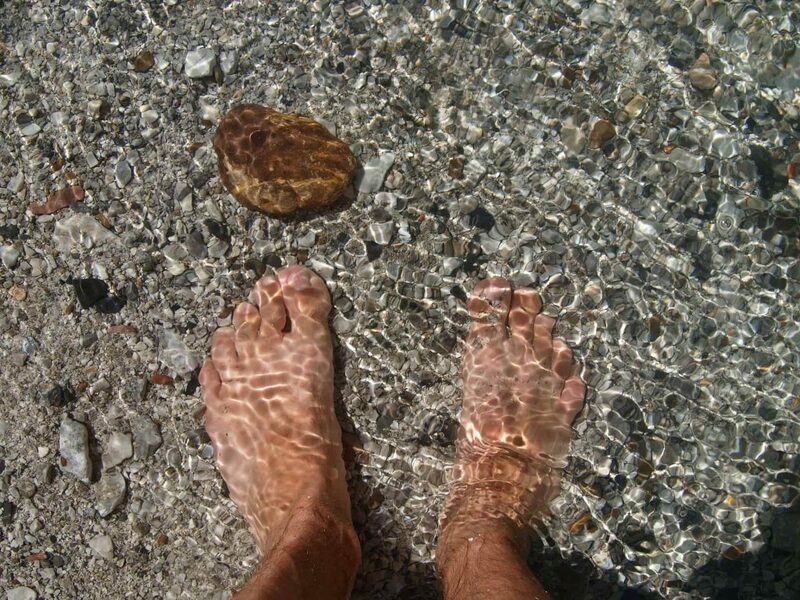 Use balls or cold water bottles placing them below your feet. This way you can apply the right amount of pressure at you tendons enhancing the flow of blood in your feet. A cold water bottle is preferable as it will also counter the inflammation your feet may experience by giving your feet an ultimate massaging therapy. If you have flat feet your feet are more like to move more inwardly than usual. Take out ten minutes of your time every day and press your feet against the wall. You’re doing this to relax your muscles which have tightened due to overpronation. Ideally sit 2 feet away from any wall of your house and place your foot at the wall in such a way that the ball of the foot is on the wall, not the heel as the heel would be in contact, with the ground. This would make your leg very straight. After getting into such a position push your palms against the walls. This is one really effective technique to relax your muscles. Your weight can easily be controlled through simple diet plans and exercise. And if you have flat feet and have more weight than you ideally should. It’s time to lose weight. People having more weight than they should experience more severity of pain and a slow recovery process when fighting off with issues to flat feet. Get seated on the floor and place your feet flat on the floor, then lift your toe of either of the foot first and then repeat it with the second. Make sure you only lift the toe keeping your heel down. Sit down bending your knees keeping your hands on the back for support. Lift your feet from the floor with your heels remaining in contact with the ground. Repeat this from 4-5 times with at least 15 seconds intervals. If you’re looking for an exercise to effectively build an arch, this one’s for you. Sit straight with both your legs touching the floor in a straight position. Lift one of your foot and make contact with the last toe finger of the other one. The last one is little more complex than all the above. This is more of a foot over foot exercise. Place the middle of the foot on the other foot in a resting manner and then exert pressure. Stretch your feet and join them both at the toes. Slowly start moving your heels apart while keeping the toes joined. This exercise is recommended to be performed in sitting positions for maximum gain. There are several alternative methods to treat flat feet. Consulting a podiatrist is a must to get the most suitable one for you. Usually, they recommend using the insole, which fit into your old shoe. These are designed to give comfort to the feet while walking. But there’s only so much an insole can do. The better option would be getting a new shoe, designed and crafted for flat footed people, and what better than having other perks as well? Below is a list of running trainers and shoes, which are not only for the purpose of comforting a flat foot but also give style and reason! Don’t worry, I have done the females shoes. They are just a few scrolls away. The reviews of the shoes are going to be in depth & they are going to answer all of your questions you may have! cushion inside the shoes, which provides maximum comfort. This shoe is slightly expensive than other shoes because it prevents injury and it’s reliable. This shoe is designed in a way to give maximum comfort to the marathoners. The outsole of the shoe is most important part because it contains impact guide system. The middle part of the shoe is made up of comfortable cushion. Which provides less weight on the shoe and very comfortable for the runner. It also has a durable foam which provides great bounce back which feels like spring. The upper part of the shoe is made up of fluid. That means when you wear the shoe it fit like a glove. Because of the fluid, the shoe becomes more flexible and breathable. Because of this feature, you have to be very careful while choosing the size since the shoe is tight fitting. The material used in the shoe is foam and rubber which make the shoe slightly heavy. The shoe is best for long run or marathon. This shoe cannot be used for a workout or short races. 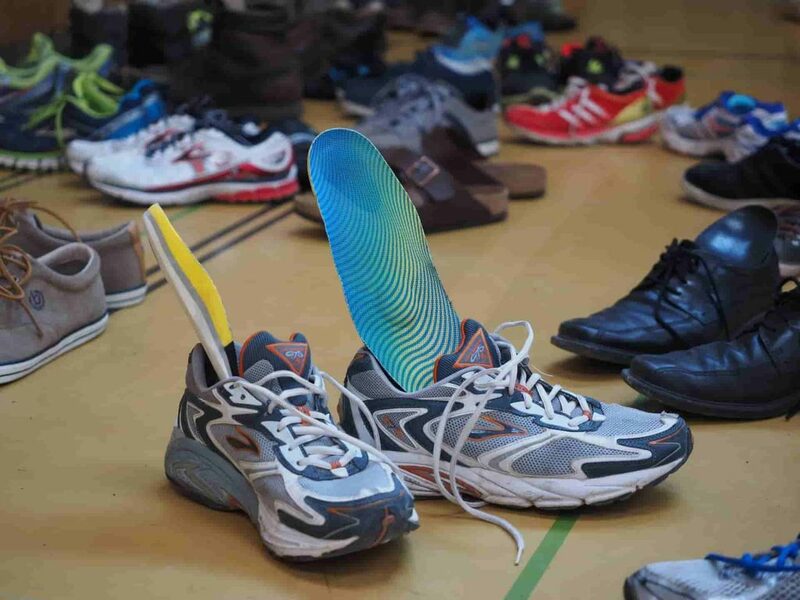 When you use this shoe for a marathon after an hour your feet become too sweaty and start to stink here is where the breathability comes in to give the shoe lot of ventilation. The upper part of the shoe is designed to control the moisture inside of the shoe. The material which is used to make this shoe and the design make the runner feel comfortable wearing this shoes. This shoe is unique from all the other shoes available in the Market because of its comfort and design. These shoes are very rough and tough the runner can easily go between 300 to 500 miles without any worries. The key points of the shoe are like it’s very comfortable because of the cushion, the shoe is quite durable. It’s a good fit! The heel is made up of gel for extra comfort, the shoe is a shock absorption, and this shoe is been famous for its reliability and performance good ventilation. This shoe is quite stable giving extra room for traction. The weight of the shoe is quite heavy which can make your leg feel heavy during workouts. This does not have a bigger range of colors only few color available. The shoe is quite expensive or not of that worth. Mizuno wave inspires 13 shoes are the latest updated version of the company. These shoes have some unique features. Some of the features are like pronation control system, comfortable cushion, this company has some unique technology to finish the inward rolling. The unique technology is also used to other shoes of the company as well. This shoe has low-grade stability and comfortable cushion makes this shoe the best choice for flat feet people. The upper part of the shoe is made up of a unique fabric that feel the runner lightweight and breathable and comfortable. This feature helps the runner a comfortable fit. The heel part of the shoe is the most noticeable thing. The weight of the shoe is approximately 11 OZ. While running with these trainers, the middle part of the shoe gives a good support. This shoe is easy to remove and wear. The outside of the soul is designed in a shape that it can easily go on a slippery road without any slip likewise on the rocky road or on a sandy road. These shoes are mostly used by the Roadrunners. This shoe is covered with a comfortable cushion which gives a great feel to the person wearing the shoe. When you wear this shoe it’d feel like a lightweight. The soul of the shoe is very rough and tough. This shoe sole has a flexibility control which allows the shoe to bend as runner moves. The middle part of the shoe is made up of a comfortable cushion. Which make the shoe lightweight. The upper part of the shoe is designed to give good ventilation. The heel part of the shoe is quite viable because it’s made of different type of materials which protects the sole to wear off. The very important feature of the shoe is the outsole is made up of rubber, flexible control, the partial inner sole is also removable for those who require extra space. The shoe is quite heavy in comparison to other shoes available. The cushion of the shoe starts to be flat over time. At the starting, the cushion of the shoe is very hard but slowly it becomes very comfortable and then after longer use, the cushions start to lose its bouncy feel becoming very thin and rigid making it uncomfortable for a long run. Saucony Guide 7 shoes is a quite new product to the company which gains more good response than other products of the company. Saucony guides 7 it’s mostly used by the runner. Its reason to be used by the marathoners are the shoe is very lightweight stability performance, soft and comfortable. The outsole of the shoe is made up of rubber to give the runner cover the large surface area. The midsole is made up of comfortable cushion that causes the shoe to be 30 percent more long lasting and 15 percent lighter than the other model of Saucony guide. The upper part of the shoe is designed with breathable and comfortable this feature is used because when you use the shoe for a long run after a while your foot starts to sweat to smell bad and creates moisture inside the shoes this feature help to ventilate your shoes. The shoe is light in weight approx: 10 OZ. The lightweight shoe can help you for long periods of running and long periods of workouts. Without feeling you leg heavy. These shoes provide a comfortable cushion and underfoot protection for the street to give the runner a comfortable start till the end. These shoes are good looking in style because it has a broad range of colors and double stripe towards the laces. The latest version of the shoe has improved its durability to 30 percent compared to the older version of Saucony guide trainers. This shoe gives the runner a protection from any foot pain or injury for a long period of the run. The toe of the shoes is made up of spring which provides faster feedback with every step. This shoe is designed in a way that an individual person who stands the whole day wearing this shoe might have no problem. These shoes provide a comfortable fit due to the extra cushions and soft sock lining. They also have a toe box, providing increased protection for the toe in case anything hard hits it. Since the rubbers used are of good quality it gives a good stability along with decent flexibility. Overall this shoe is very nice for foot protection and comfort while being durable at the same time. Due to the durable, long-lasting rubber and intensive cushion care, the shoe is quite a heavy piece, making it uncomfortable for professional training and likewise for long-term running. Although they are quite flexible due to the other rubber used in the middle of the shoe the rubber under the heel and the toes are quite rigid making the landing a bit uncomfortable. These shoes also happen to be very unbreathable, making the experience of long-run quite uncomfortable. Brooks Adrenaline GTS 17 this pair of shoes cost you about $120.00. This series is the latest of this shoe company. These shoes are mostly used by the marathoners. The shoes are designed in a streamlined shape so that you feel comfortable fit. The midsole of the shoes is of 12mm the heel of the shoe is 12mm. Brooks Adrenaline GTS 17 is good for marathoners because its side is filled with the cushion technology which gives smooth feeling while running and constant stability to the runner. These pair of shoes have been tested in both short and long races results that these shoes have 30 percent more cushion than other running trainers available. The outsole of the shoes are made up of rubber this material is used in shoes to give a comfortable and lightweight cushion felling for your foot. The rubber which is used in this shoe gives more resistant and longer life to the shoes. The middle sole consists cushion which adapts your footprint to give extremely comfort to your feet while going on a long run. The upper part of the shoe is madup of a screen printed technology. This technology helps to maintain the structure and increase the flexibility of the shoe. The cushion which is provided inside the shoes helps the runner to tie up lace as much as he wants the cushion won’t let your foot be painful. The weight of the shoe is slightly lower than other adrenaline shoes its weigh is approximately 8.9 OZ. These shoes contain a lightweight rubber which provides a good grip when you run. The fabric which is used to make this shoe is also compatible with most skin types so chances of irritation are near to zero while comfortable for your feet. It comes in unique color combinations as well. The most important feature of these shoes includes its comfort due to the DNA technology integrated into the inner sole for extra comfort and the V groove technology for a comfortable yet traction control grip even on slippery floors. The shoes have a round shape heel which helps your ankle joint to reduce stress. These pairs of shoes are extremely comforting on the longer period of runs or workouts. The shoe is comparatively stiffer and rigid. Meaning, runners might find it a bit less flexible and unnatural, this might be due to the extra durable rubber sole and the V groove technology. Other than that the shoe sizes are a little smaller too, getting a size plus is recommended. For all my female readers, here are my top 4 picks for shoes that help alleviate pain with your fallen arches. This latest model running shoe from Asics was released on Oct 2014, a huge upgrade from its predecessor. An extremely comfortable shoes with lots of cushion including the gel technology cushion for fluid comfort. Although the shoes are designed for road running, they can sometimes be also used for trail running as the cushion provides a comfortable shock absorption and is capable to protect the user from any potential injuries. The inner liner is made of pure cotton and absorbs moisture instantly giving the user a nice breathable experience and dry comfort throughout. The outer fabric is quite durable too with tiny holes to help with the breathable experience, the design is very attractive and the tiny holes along with the breathable mesh makes the shoe very flexible and comfortable. Also, there’s a unique heel locking mechanism that helps provide greater stability and fitting to the shoe. The outer sole of the shoe is made with a very high-quality rubber and the pattern is designed in a way to accommodate the comfortable transition of foot lifting and hitting the ground in a symmetric manner. The Asics High Abrasion Rubber abbreviated to AHAR is the company’s trademark rubber technology that provides intense durability at the same time a flexibility much needed in running shoes. The sole is also surrounded with various amazing features like FluidRide for absorption purposes, soft and bouncy cushions for a comfortable run and gel cushions around the front and heel of the shoe for extra support and fluid comfort while keeping the traction high at fast running speeds. The guidance line feature further assists the user with stability and traction by helping the foot land and take off very comfortably and efficiently exerting the least amount of force and pressure. Amazing cushion features that do not interfere with the responsiveness of the shoe along with the gel cushion system that runs through the midsole. The rubber is extremely durable with AHAR technology. The upper is breathable due to the fitting mesh and the heel clutching mechanism helps the foot to be locked and fitted while running. The shoe happens to be amazingly flexible even though the durable and strong rubber throughout the sole. Since the heel to toe drop is a decent 10mm, many women might find it an appropriate fit for themselves giving the style with functionality. The shoe with all its amazing features costs a bit more than usual. Also because of all that gel and rubber, it is quite heavy as well which may not suite for many expert runners as weight is very important for professional runners. This is one of the most stylish running shoes for flat foot women. Saucony’s recommended guidance shoe comes with amazing features for comfort, stability, and guidance. This shoe is incredibly lightweight at the same time so that you may train professionally and even use them for professional running. The guidance lines not only help land the feet comfortably but also lets you practice safely without exerting unnecessary pressure on the ankle and the foot. What makes this shoe durable is its rubber technology. Comes with two different types of rubber, Saucony’s XT 900 is the trademark technology of synthetic carbon rubber for increased traction and the other soft rubber for a bouncy comfort throughout the outer sole of the shoe. Because of this combination, the shoe also happens to be providing incredible flexibility along with comfort and durability. This also helps protect the delicate women feet from harsh impacts while landing at the same time letting them feel the ground as it is due to its thin yet bouncy rubber material. This amazing training shoe has also integrated Power grid technology midsole which gives a balanced feel while increasing efficiency by providing more durability at the same time reducing the weight substantially. This increases the responsiveness of the user and the guidance lines play an amazing role along with this Power grid technology. The outer top part is even more impressive with Saucony’s new Flexfilm technology which provides a seamless and a way thinner yet durable upper mesh for improved air circulation and dry comfort. This comfortable breathability is even more valuable due to the thin layers effect on the overall reduction in the shoe weight while providing increased flexibility. This helps the user train even more naturally as the foot isn’t restricted by the shoe and moves as naturally designed for running. This is an extremely lightweight show, and with such comfortable and protective features, it can easily qualify for a professional training shoe. The breathability is quite impressive as well due to the trademark technology Flexfilm which gives the mesh a very thin yet durable feature increasing the stylish features too. The inside of the shoe is quite comfortable too due to the lining and soft inner sole that can absorb a considerable amount of shocks as well. A run dry collar heel is also included in the shoe which helps with the fitting of the foot in the shoe for better responsiveness, comfort, protection, and traction while keeping the foot dry and moisture free! The size of the shoe is typically for a thin sized foot. Meaning the middle part of the shoe is quite compact which may result in considerable discomfort for some feet. The style and color options are quite limited as well. Also, the heel to toe drop is just 4mm making it quite unstylish for some women. This latest Lunarglide by Nike is one of the shoes made specially keeping flat-footed runners into consideration while at the same time maintaining the stylish sleek look. It has many supportive and protective capabilities too yet having a considerable lightweight feature. Since flat-footed runners are vulnerable to overpronation, this shoe is specifically designed to help reduce over-pronation and give the needed comfort while maintaining speed and other functionality to flat footed runners. The foot chamber is also designed and engineered in a manner to fit the foot comfortably with increased traction and responsiveness. The upper part of the shoe is considerably comfortable as well since it has extra padding yet providing enough space for air ventilation, a unique feature not found commonly in other such running shoes. However, the most impressive aspect of this shoe is its comfortable price tag. With all these features and a brand name of Nike, stylish and protective, the price is reasonable which makes it very hard for potential buyers to think twice before making this purchase. The outer sole is laser cut to perfection, something ordinary shoes definitely lack. The grooves are even deeper for increased traction and flexibility while reducing a considerable amount of weight. The shoe solves mostly the problem of over-pronation which is something flat-footed runners are constantly facing in their running experience. The upper mesh is quite thick for extra comfort to toes, one can keep them on for long periods as it’s extremely comfortable to the foot, yet the thickness in no way cancels out the breathable effect and air circulation is constantly drying the moist foot. What more? With all these heavy features, the shoe is considerably lightweight and helps the user train in a professional feel free manner. Since the grooves are deeper, anyone running on a rocky or muddy track might find pebbles and mud stuck under the grooves which disturb the flexibility of the shoe. The shoe doesn’t come with guidance lines too, which is not supposed to be an issue for most runners but few professional trainers might find this quite disappointing. The outer upper part of the shoe, since made up of such a material may start to wear off after longer intervals of usage which in turn affects the overall responsiveness negatively. As the name suggests, this specifically designed for overpronation stability shoe is the solution for many flat-footed runners out there. The Extended Progressive Diagonal Rollbar gives a unique quality to the shoe over other competitors by providing way increased motion control at the same time solving the painful problem of overpronation. This shoe is large in size due to its comfort giving the foam which not only gives protection under the feet but also around the shoe. The cushion is way improved than their previous versions with some special touches to the inner upper part as well. The arch support is incredibly amazing in a sense that it offers extra support and comfort for flat footed runners. This comfort is to the point that an injured foot may find comfort in it and usually, doctors recommend an injured patient for this shoe due to its extra comforting nature. Omega Flex Grooves offer great stability, traction, and flexibility to the outer sole of the shoe, and that’s not it, the sole is further integrated with another rubber technology known as HPR Green Rubber, which not only is an environmentally friendly rubber but also offers a bouncy feel while running and is capable to handle different climate conditions like dry, wet and even snowy tracks. As other competitive shoes focus on gel foam technology for the cushions underneath, this shoe has a different approach to the cushion as the cushions are DNA infused making them a special kind of intelligent material providing extra comfort to the part of the foot that needs the most. Apart from the durable and comfortable rubbers on the sole, the comfortable inner sole, the shoe also provides a very comfortable upper part. Made out of synthetic layers, and a toe bumper, for extra protection, this shoe is very breathable as well. Keeping the foot dry under all those cushions is not something easily achievable, but Brooks Ariel has done it quite efficiently. Overall, the shoe solves the purpose of overpronation quite professionally and is an extremely durable shoe. The shoe also offers a large heel to toe drop of around 12 mm giving extra comfort and style at the same time. This shoe, due to its extra comfort and cushions, happens to be one of the heaviest ones around. Being quite heavy makes it a bit uncomfortable for professional training and longtime running. Long-term wear may also cause the cushion to soften up a little bit, this may cause some empty space around the shoe causing fitting problems which may cause some uncomforting running experience since the foot isn’t at the place. The competition between all these shoes is pretty tough. Most of the offer similar features but then again it is the niche and the unique proposition that wins this battle. For most of the buyers, the cost is a very critical matter too. It is with no doubt that all these shoes offer great comfort and a ray of sunshine for the flat-footed runners to get in the game of running and be comfortable, confident and part of the community in large. Saucony has made its name now since it was founded in Pennsylvania, up till today they have not compromised with their quality production. They are well known in the field of running shoe and they also take the credit for one of the best shoe for flat-footed runners too. Saucony guide 7 for men not only offers the solution to overpronation but also gives a sportsman feel with their extremely lightweight design even though the cushions and rubbers play a heavy role with providing comfort, durability as well as flexibility. This all-rounder shoe is an expert when it comes to breathability. The mesh is beautifully knitted to provide not just one but several layers or air circulation due to their Hydramax material. For women, however, Asics GT 2000 5 takes the first place although it is a very tough decision to make with all the others battling each other for the first position. Brooks Ariel does a great job too, but after a thorough comparison, it might be very clear that Asics GT 2000 5 it is, and for good reasons. First of all, it looks very attractive, and since this is a women shoe, it has to look like one. These looks do not even fool, the features are even more impressive. With the unique AHAR Durasponge rubber technology, the makers make sure for excellent comfort while providing extreme protection and durability to the outsole. Moreover, the guidance lines make it even more interesting and professional to run in, again making sure the footrests while landing in the position best for the heel and ankles. The gel cushioning system might not be as good as the DNA technology in Nike’s Lunarglide per se, but when the gel cushion is integrated with Asics Solyte foam, nothing can practically beat that comfortable experience. The best part about this shoe, however, is that however long you use it for, its heel clutching mechanism makes sure it stays a to fit on your foot as if you just wore it! 1 What is a flat foot and what are its effects?